I collect classic and antique clocks and I make sure they run on time. I am not a trader but I won’t say no if someone wants to buy me a clock. That is why I show here my collection of clocks. 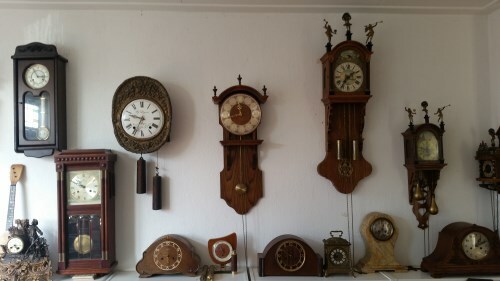 Pendulas and table clocks, longcase (grandfather) clocks, Dutch staartclock with alarmwork, table clocks, comtoises, floor and wall clocks, you just name it, you will probably find it here. I have so many that I first will have to sell a clock in order to be able to purchase one. Please send me an email with your interests.